How would I describe this book?Secondary world masturbation fantasy.Yes I know I think I'm very clever. But seriously, it's like someone had a dream and decided to write a novel around it, and then kept on adding more and more confusing dream sequences. And then sat back and said I am brilliant, publish me!I eventually got tired of reading description after description of the dreamlike landscapes and skimmed the last 100 pages. No regrets. Tried...and did finish...but will go on to another author! Graham Edwards - Graham Edwards is the author of novels including "Talus and the Frozen King", "Dragoncharm", and "Stone & Sky". 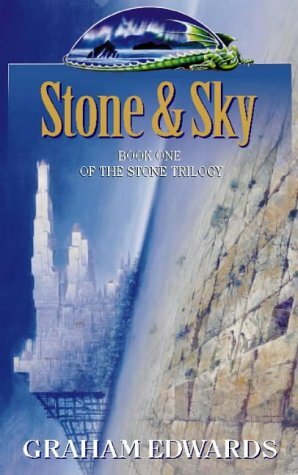 Current projects include the "Crown of Three" series of fantasy novels for younger readers, written under the pseudonym J.D. Rinehart. Graham is also senior staff writer at Cinefex magazine, where he writes in-depth articles about major motion pictures.